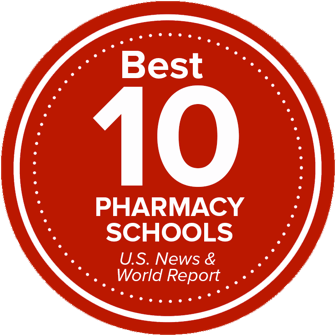 Open the door to a fulfilling career in pharmacy and enter the workforce sooner with a seven year combined BSPS/PharmD degree from Ohio State. The combined degree program offers streamlined course efficiencies between the BSPS and PharmD curricula in order to provide a seamless experience to committed undergraduate students. Students pursuing this option (typically) complete three years of the BSPS curriculum and then begin the four year PharmD program. Students will receive their bachelor's degree at the end of their P1 year (first year of PharmD). As such, the time to both degrees is lessened by one year. Please note: Admission is not guaranteed for all students. EAP students must maintain all program requirements and have course requirements met. Non-EAP students must maintain GPA requirements and go through the competitive admissions process. Students who are interested in the combined degree program would enter the BSPS program's Healthcare Professions Pathway. Students do not have to decide between the seven or eight year option until their third year in the BSPS program. The combined degree opportunity is meant only to serve as an option and not limit a student’s educational experience in any way. Students must decide if they want to opt-in to the combined seven year program by January 1 of their third year in the BSPS program. In their third year of the BSPS program (enrolled in PHR 3200), BSPS students will apply for the PharmD program through the traditional pathway mechanism (i.e., PCAT and interview with the PharmD Admissions Committee members). Acceptance for early enrollment at the beginning of their fourth year would be based on a competitive (not guaranteed) process. The college's Office of Student Affairs and Career Services teams will work with any students who are not accepted early to improve their portfolios for the following year’s application cycle.